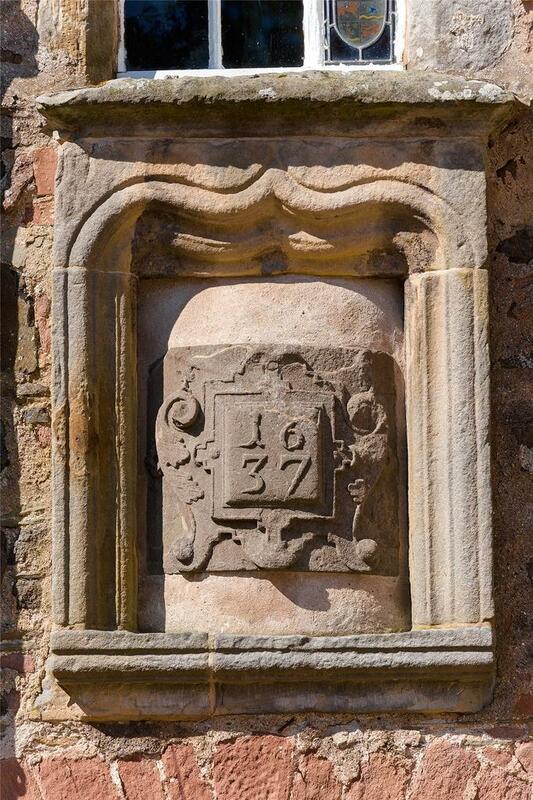 A stone plaque carved into the wall gives the date of The Craig as 1637 – no wonder it’s billed by agents Savills as ‘one of the most historic houses in Scotland’. 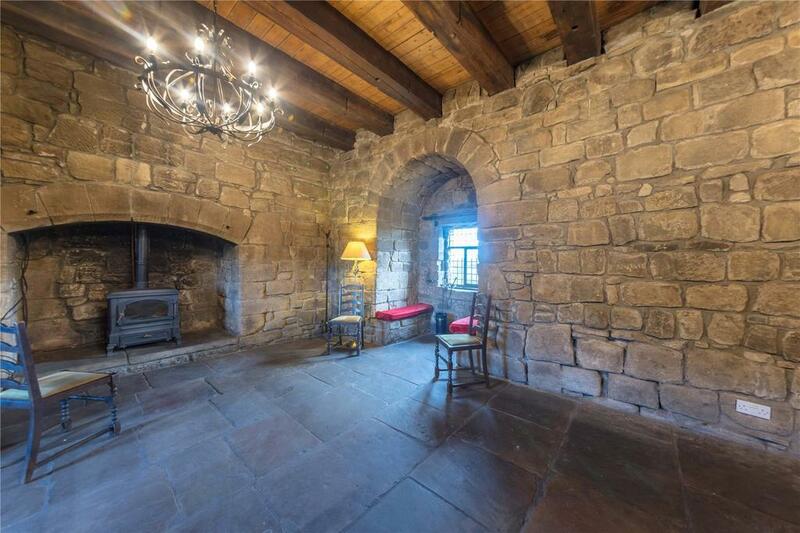 That’s no exaggeration since even that 1637 date is for a ‘new’ part of this castle, a dwelling that’s been here (and continually occupied) since the 13th century. 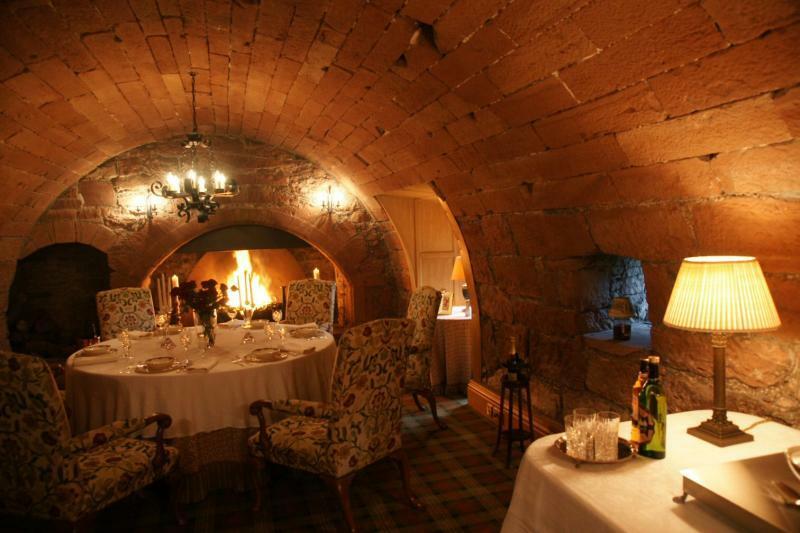 It’s a fascinating place that oozes history throughout – Mary Queen of Scots stayed here twice, and apparently tried to burn it down on the second of those visits. Some houseguests, eh? 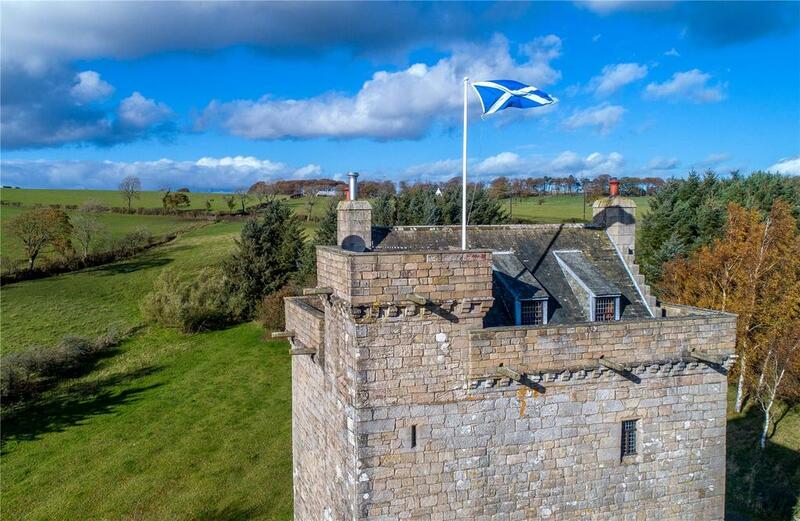 As well as the joys of the castle itself, it’s also worth noting the location near Montrose, easily accessible from both Dundee and Aberdeen, and with beaches and fine golf courses nearby. 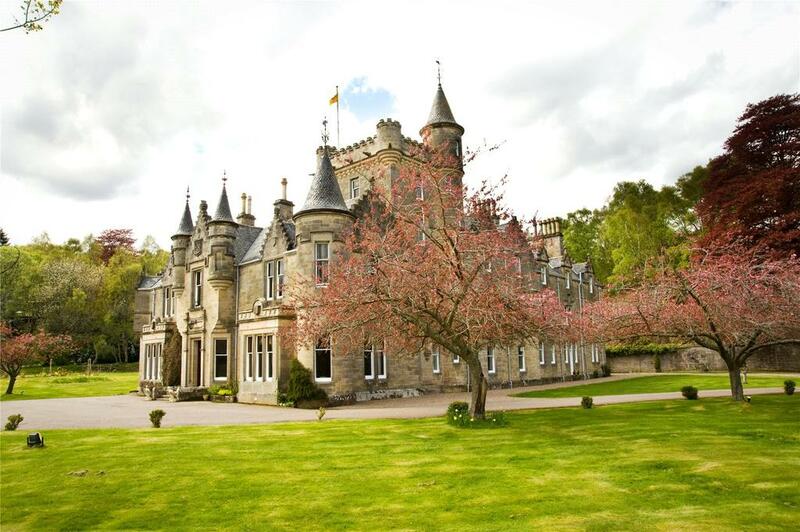 The Craig is for sale via Savills – see more details and pictures. 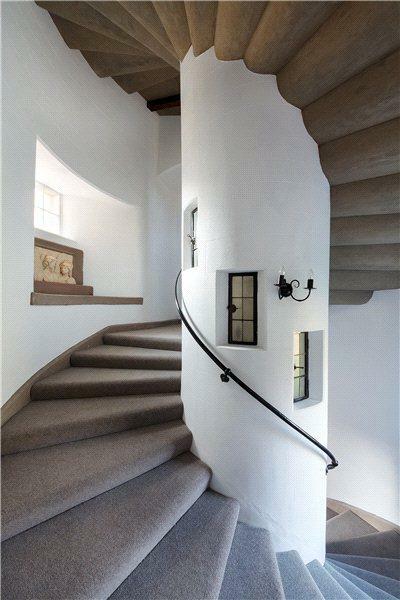 The staircase alone at Mains Castle makes the place feel like something from the set of Ivanhoe: a spiral-staircase hewn from stone which winds its way through the five floors of this incredible home. The medieval features don’t stop there. The walls are six-feet thick on three sides and 10 feet thick on the Western side – a fact which makes the Energy Efficiency Rating of 26 seem bafflingly low – while there are also flagstone floors and barrel-vaulted ceilings, most notably in the room referred to as the Banqueting Hall. 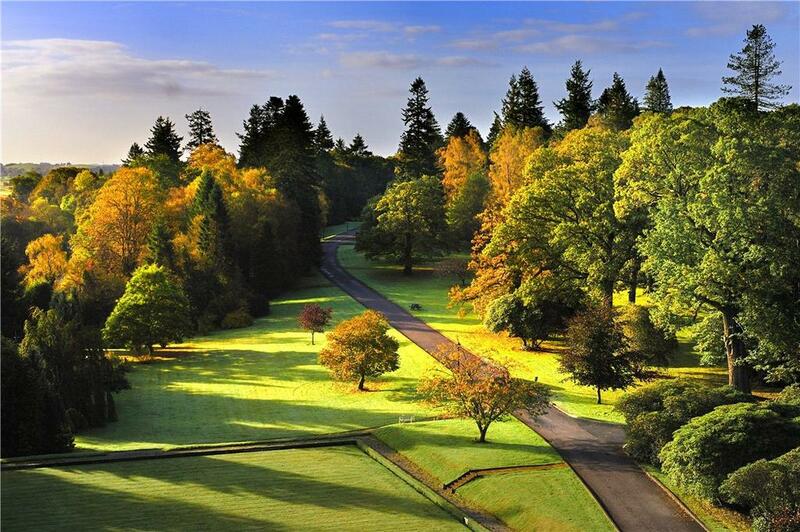 Located on the edge of East Kilbride and just a few miles south of Glasgow, it’s a real landmark in the area with grounds of just under four acres overlooking St James Hamilton Heritage Park. Though it was built in 1450, the castle actually lay derelict for hundreds of years. The cannonballs of the Claverhouses Dragoons tore it down in 1678, and after a Victorian restoration it was rendered uninhabitable once more by a storm in 1922. But another restoration which took place between 1977 and 1985 made the castle into the practical, three-bedroom family home which it is today. And if the children are naughty there’s even an original pit prison below the toilet in the converted guardhouse! 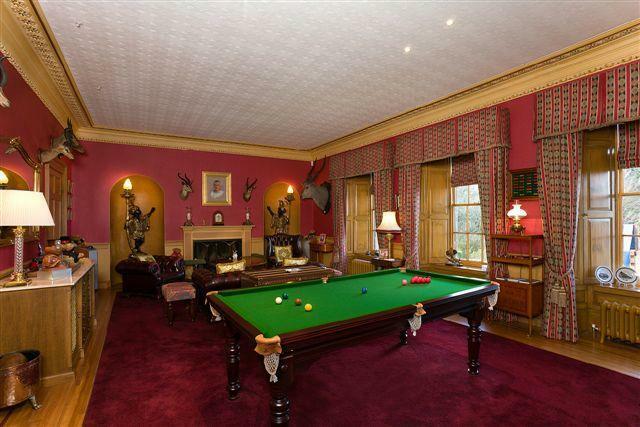 Mains Castle is for sale via Savills – see more details and pictures. 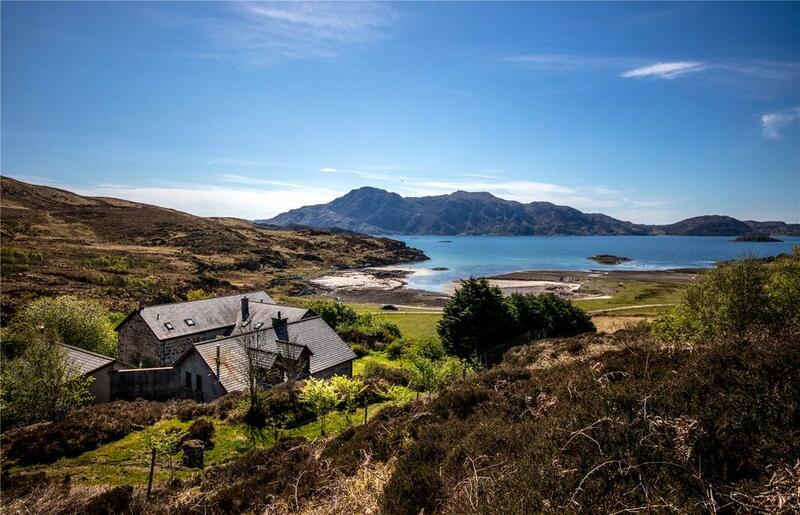 Sitting firmly in the category of estate as opposed to castle is Sandaig, a glorious 100 acres of the most spectacular land imaginable surrounding a bay once voted among the 50 most beautiful on the planet. The house itself may not be especially remarkable, but it’s very pleasant and consists of two linked properties which could be joined into one residence or kept as self-contained units, as they are at present, with one used as a holiday let. 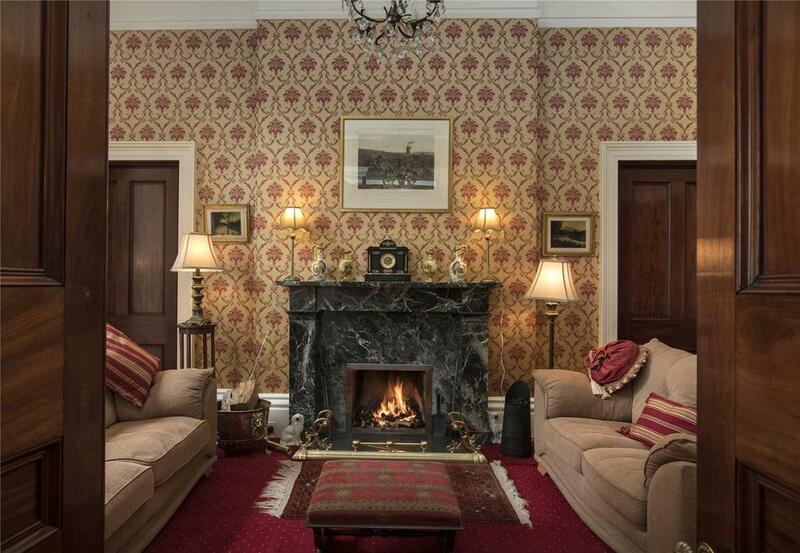 Just off the A68 and only 12 miles from the centre of Edinburgh lies the gloriously pretty Dowery House, a B-listed six-bedroom home dating back to the 17th century. 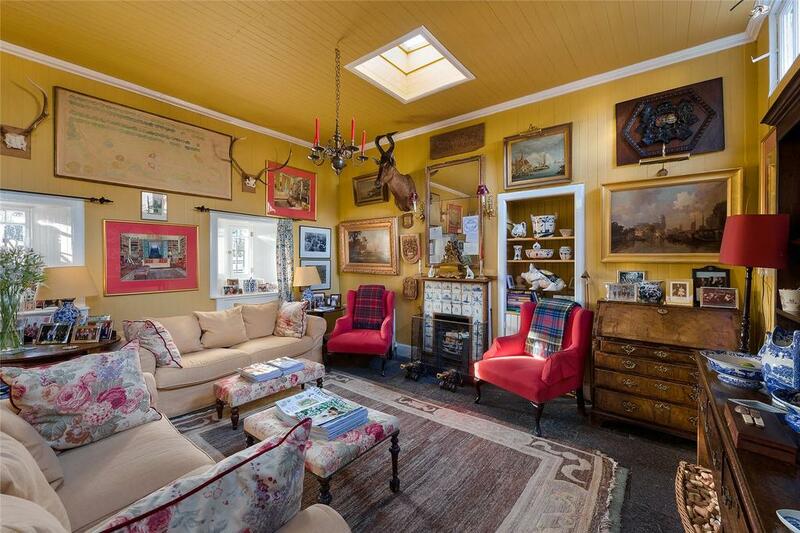 Despite its age the home is utterly immaculate throughout, having been painstakingly restored by the present owners. The house is set just above the village of Ford on the River Tyne in ground which include formal gardens, topiary, lawns, tennis court and a kitchen garden. 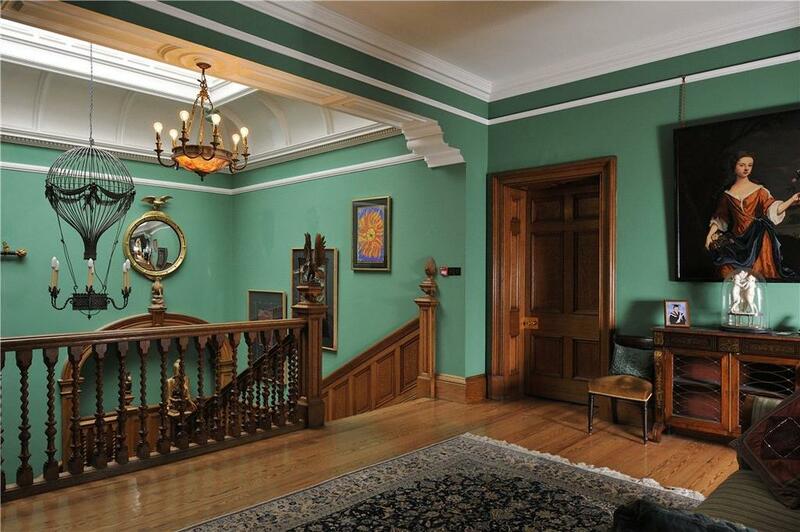 Dowery House is for sale via Gilson Gray – see more pictures and details. Six miles north of Gretna and just 15 from Carlisle, Robgill Tower was once an important strategic stronghold on the border between England and Scotland. Today, that location makes it ideal for those who want to retain easy access to London – fast trains from Carlisle reach Euston in three and a half hours. 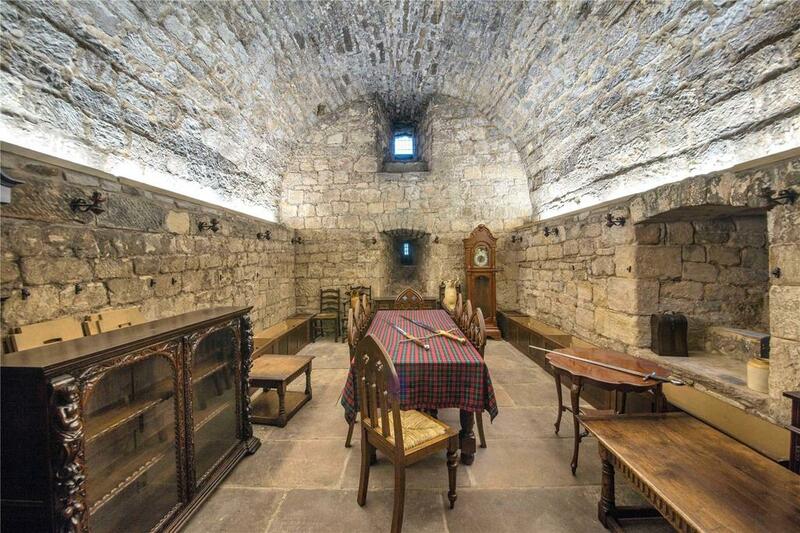 The attractions of the house go far beyond that, however: this is a fine little castle that’s been beautifully and sympathetically restored, with all sorts of original features retained – most notably this gorgeous and romantic dining room set up in the cellar. 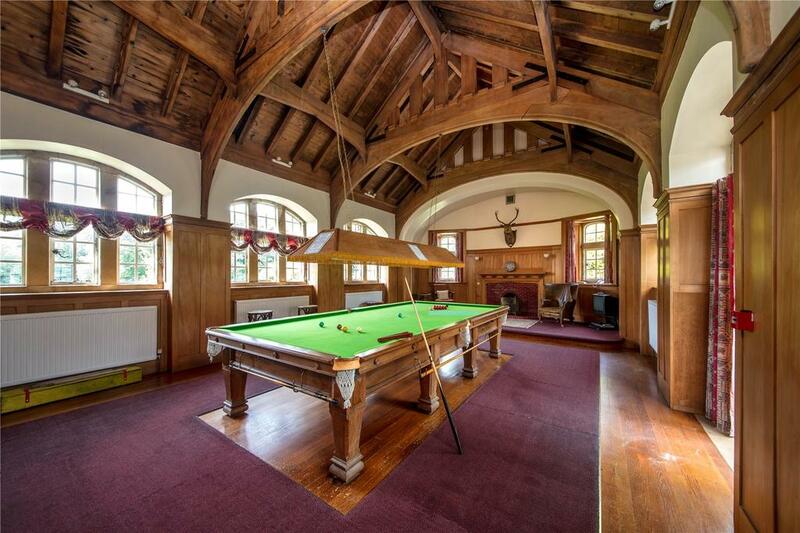 There are also superb sporting facilities: stables, paddock, an indoor pool and gym, plus a snooker room for more sedate moments of leisure. 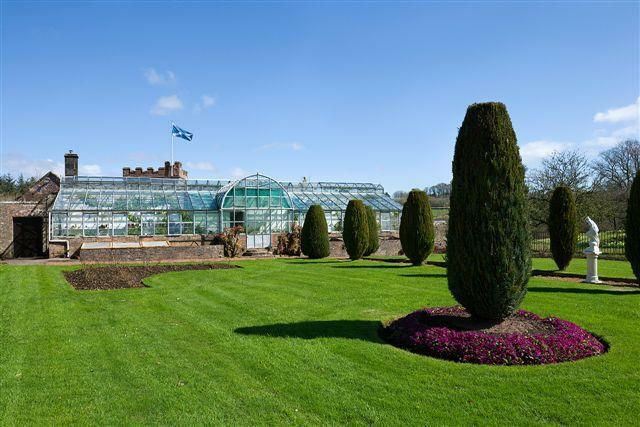 Gardeners will be just as delighted to find as fine a greenhouse as you could imagine in a private home. 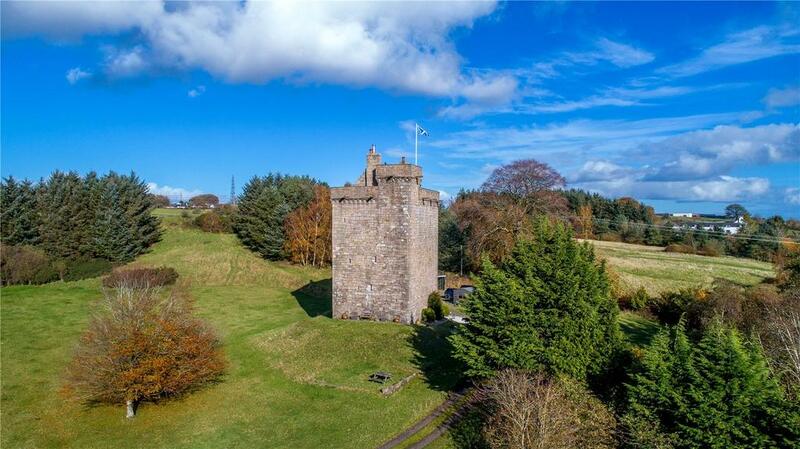 Robgill Tower is for sale via Galbraith – see more details and pictures. 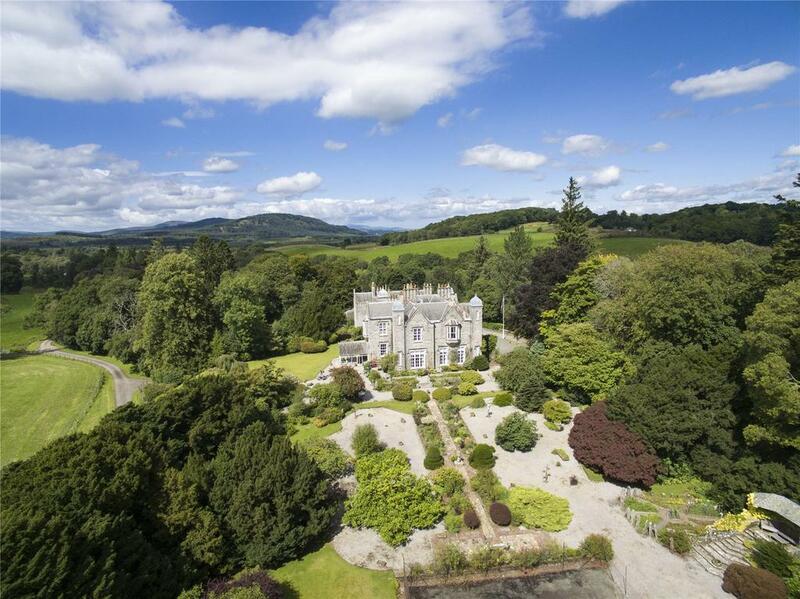 Situated in a spectacular spot overlooking the River Dee and a few miles west of Dumfries, Hensol House is a palatial 10-bedroom home set in a vast estate of 1,145 acres of land, on which there are several other properties included in the sale. The earliest parts of the main house date to the 17th century but it was significantly updated in the 1920s and is in good order today. Some original Jacobean features remain including the mantelpiece and marble fireplace in the drawing room, and the sundial in the garden. 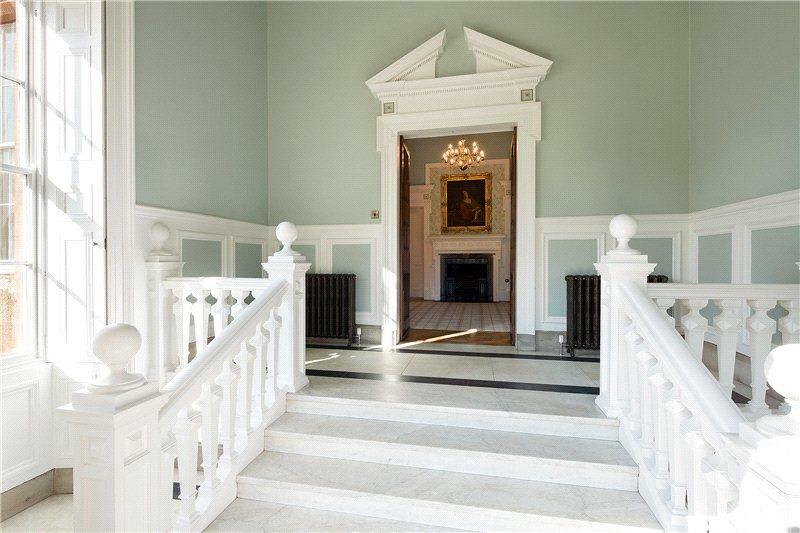 From the hall a cantilevered staircase rises to a mezzanine landing, then goes on up to reach a hallway which is flooded with light from a beautiful cupola. Mossdale is for sale via Strutt & Parker – see more details and pictures. 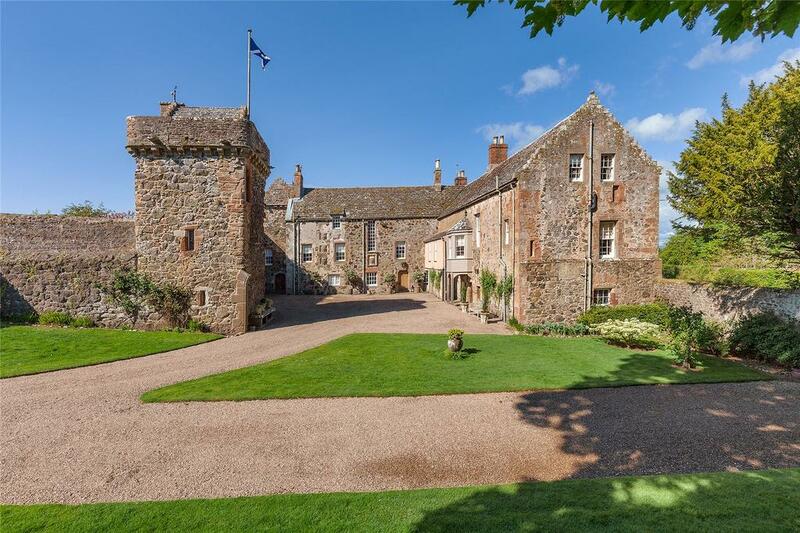 A staggering 32 bedrooms are within the walls of this 15th century castle, located in a magnificent setting just yards from the sea. Ackergill Tower dates to 1475, but this castle was significantly extended in the 19th century.  The place is in superb condition, having been run as a successful hotel and business venue for the past few years. The main dining hall, pictured here, is a sight to behold. The grounds are equally impressive: there are 30 acres including sporting rights, while there are several other accommodation buildings included – not least the extraordinary treehouse. 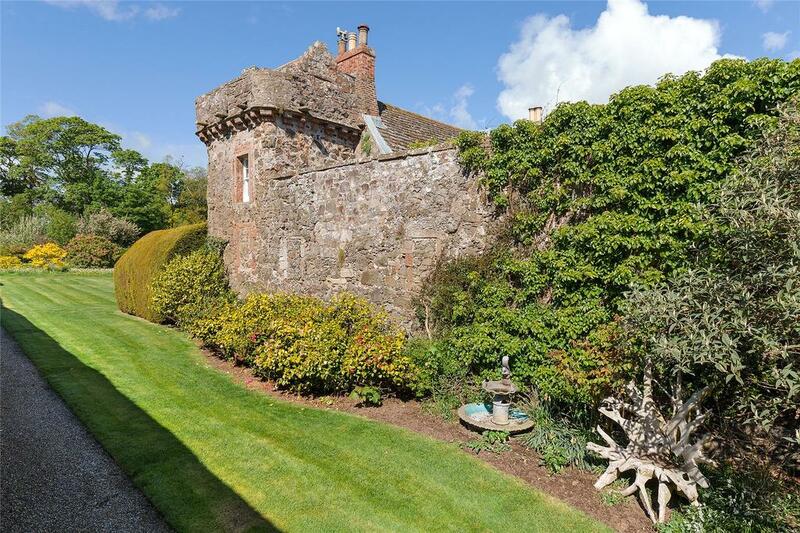 Recently renovated, this Scottish baronial mansion sits in pride of place in the town of Crawfordton, Dumfriesshire. 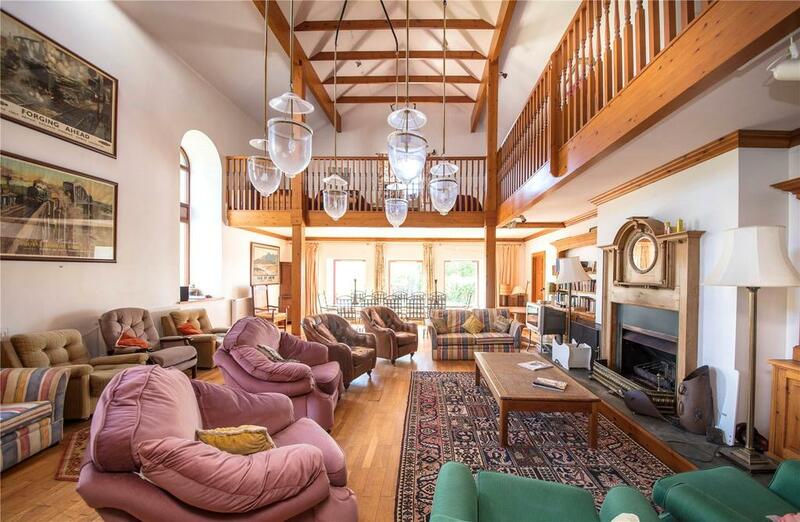 It’s a spectacular home that includes everything from a wine cellar and games room to a separate chapel and a detached pavilion with indoor swimming pool. 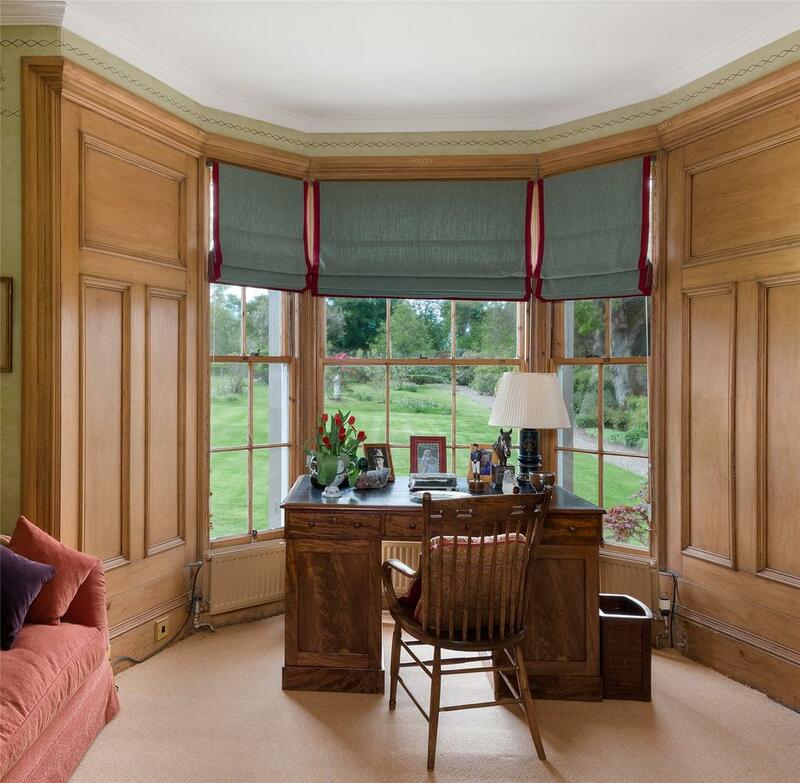 Crawfordton House is category B listed, with four receptions rooms, a library, a gym, an open plan kitchen and six principle bedroom suites. Complete with sweeping lawns and a separate rejuvenated chapel, the estate comprises of 33 acres, full of outstanding gardens and specimen trees. Planning permission has been obtained for further renovations, including a detached pavilion housing an indoor swimming pool and a separate double garage. For sale with Rettie & Co. See more pictures and details about this property. 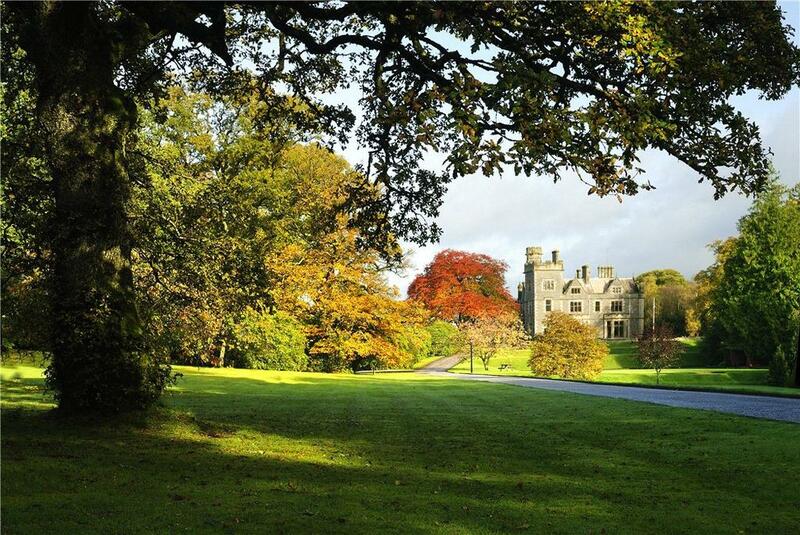 Set on over nine acres, Tillycorthie is simply magnificent. 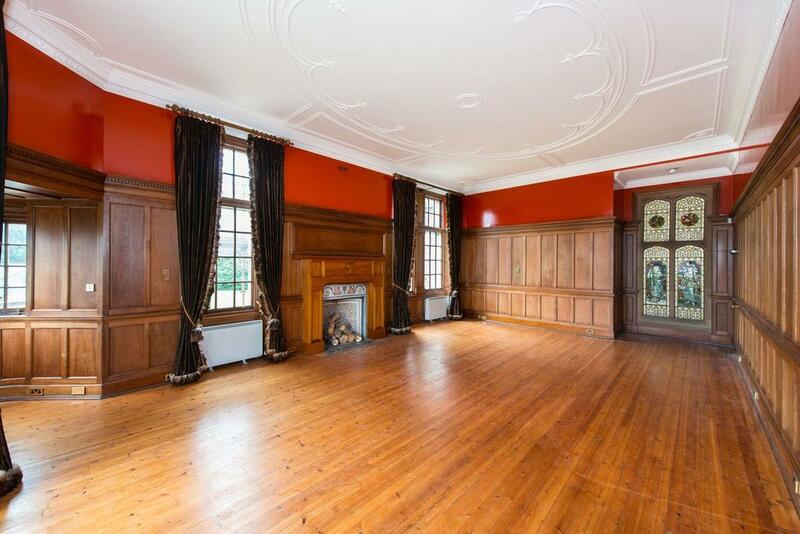 With Spanish influences evident in the beautiful palmed courtyard, the Mansion House has been used as a family home, an academic facility and is now looking for a new owner, with residential and commercial possibilities. 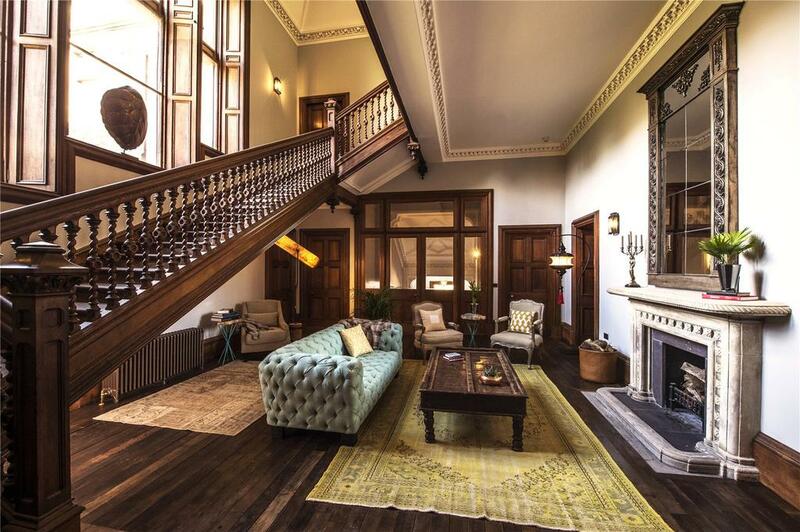 Renovated since it’s 1911 construction, Tillycorthie comes equipped with fully functional ornate fireplaces, moulded ceilings and a 3000 bottle capacity wine cellar, as well as the latest luxury kitchen appliances and a home gym. 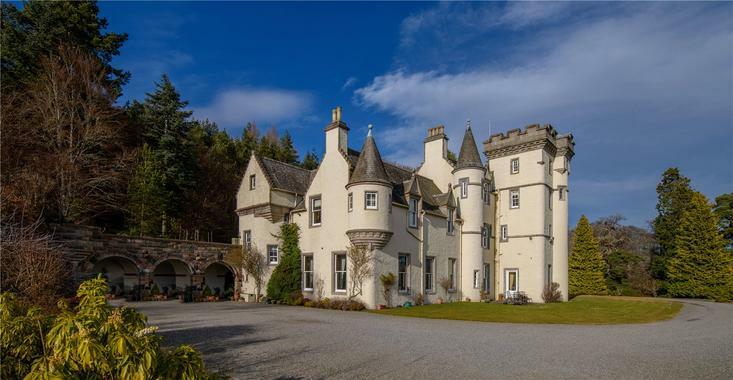 With a spiral staircase leading to a tower with a rooftop vista of the Scottish countryside, this period property really is straight out of a fairytale. Set on 30 acres of land with commanding countryside view, Dess House borders one of the oldest villages in Royal Deeside and boasts all of the ameeneties one can expect from the exterior – extensive wooden paneling, a large dining kitchen in addition to the impressive dining room and turret rooms aplenty. 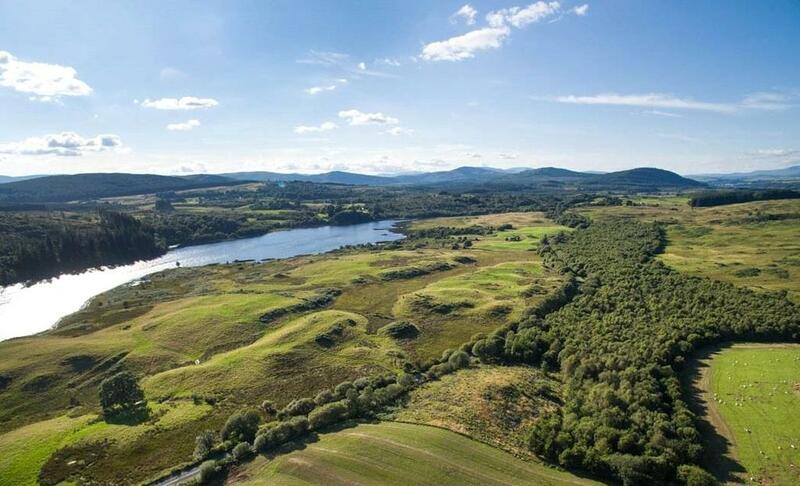 With world renowned salmon fishing on the nearby River Dee, gliding, shooting and winter sports clubs and a plethora of hacking trails from the house to the surrounding countryside, Dess House is the ideal retreat for any outdoor sporting enthusiast. 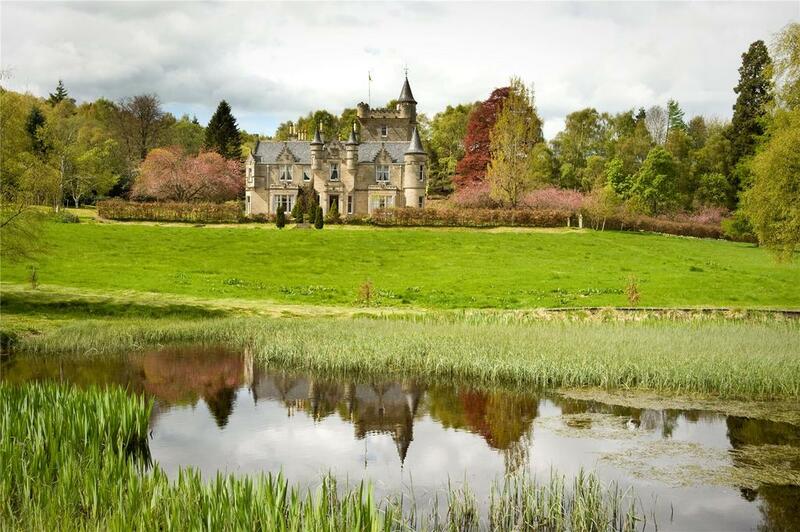 Rothes Glen House, just a few miles from Elgin, offers a staggering amount of castle – almost 15,000sq ft and 10 acres – considering the asking price. 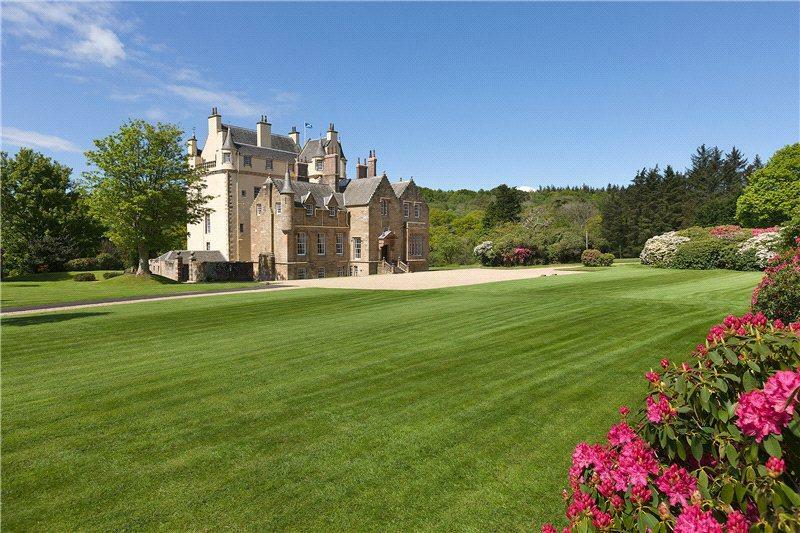 The turrets give it a true fairytale look, while the 11 bedrooms mean that it’s large without feeling too big to be a family country retreat – indeed, it has been a family home for the last 14 years. 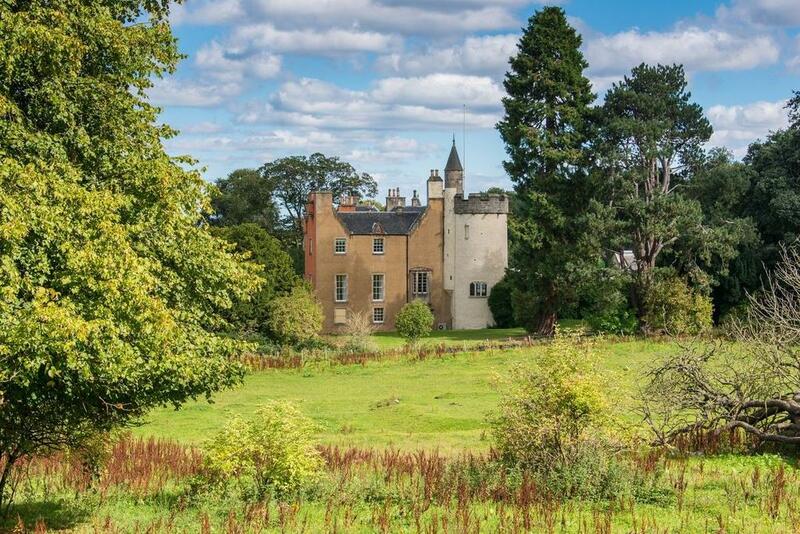 This classic Scottish Baronial mansion is dominated by its four-storey central tower which has fine views over surrounding countryside, and boasts a corbelled and crenallated wallhead with cannon water spouts. 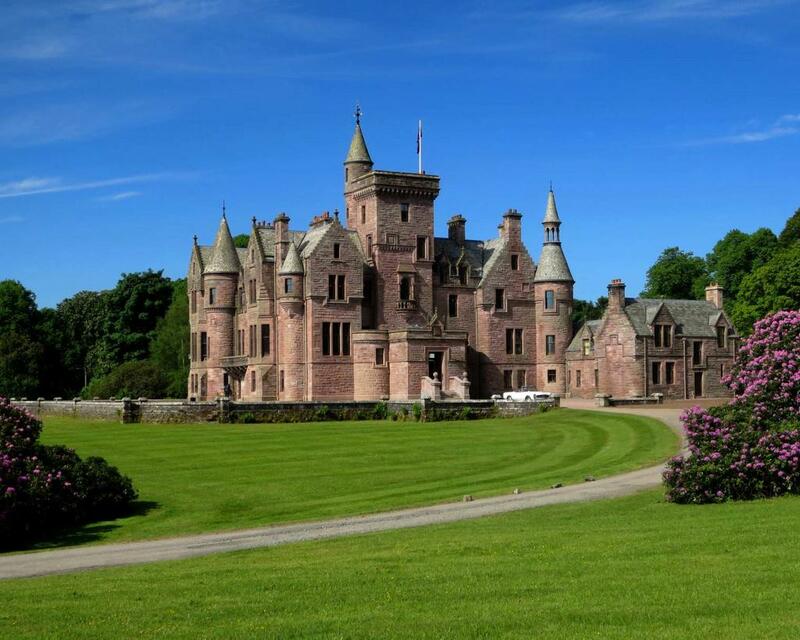 But the castle is actually newer than it looks, having been built in 1893 by Alexander Ross to replace an earlier house which burned down. 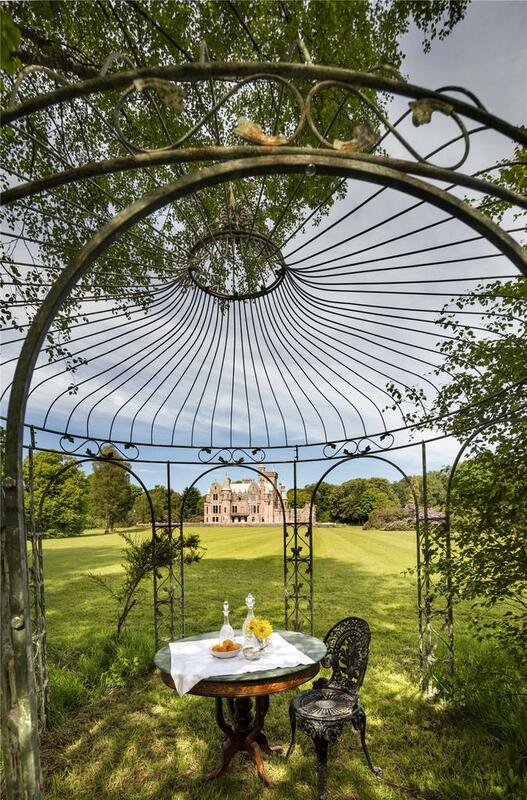 Fairytale Craigcrook Castle, in four acres of landscaped grounds, including mature woodland and a walled garden, is an astonishing property just three miles from Edinburgh city centre that is on the market for the first time in 300 years at a price of £6m. 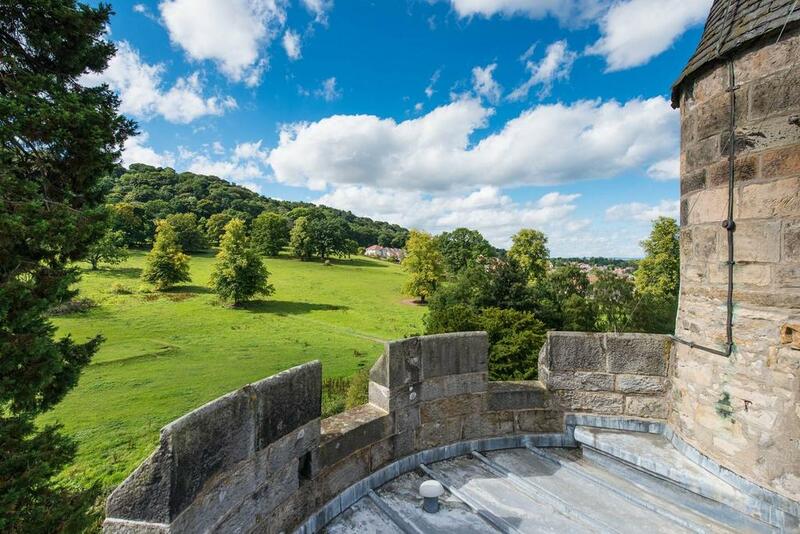 Perhaps the most distinctive feature of this 16th century castle – from the outside, at least – is the round tower that boasts far-reaching views of Costorphine Hill, Blackhall and the Firth of Forth. 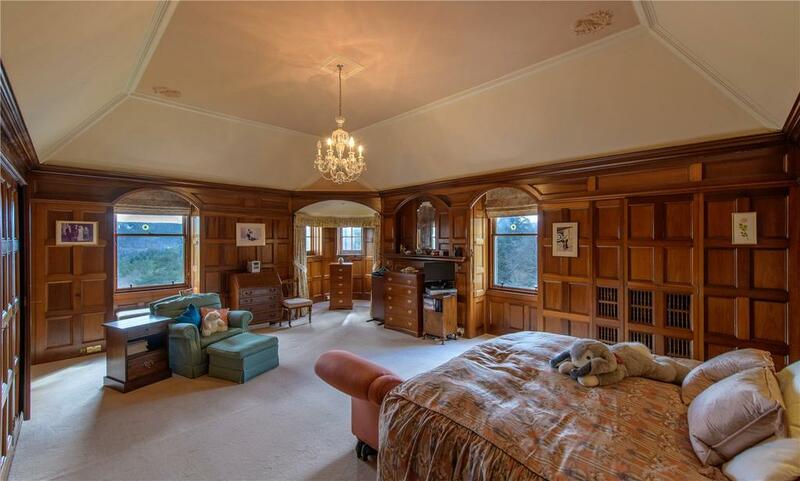 Inside, there are six bedrooms in total set over three floors and a wealth of unusual features, including a fabulous stained glass window – that is part of an internal door – and some handsome wooden-panelling . The castle became a well-known cultural hotspot in the 19th century, famous for its soirees, and was visited by the likes of Charles Dickens, Hans Christian Andersen, George Eliot and Tennyson. 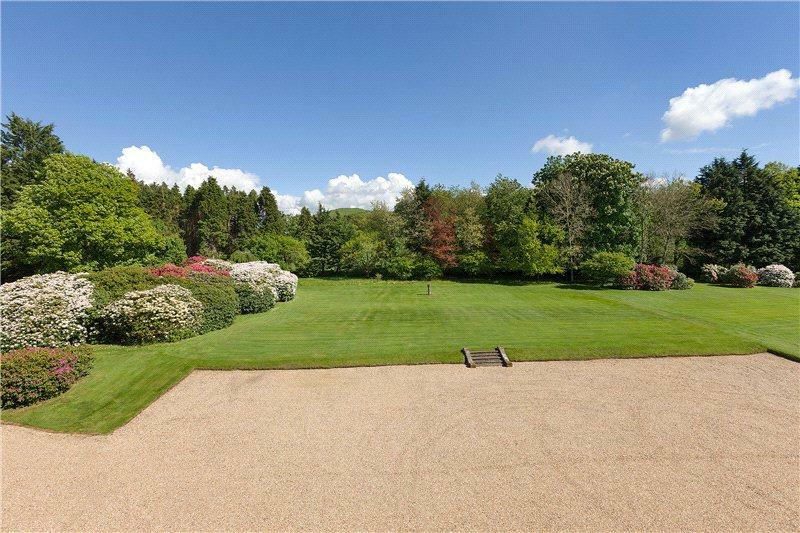 There are four acres of grounds included which take in a walled garden and woodland. The castle became known for its cultural soirees and was visited by Charles Dickens, Hans Christian Andersen, George Eliot and Tennyson. 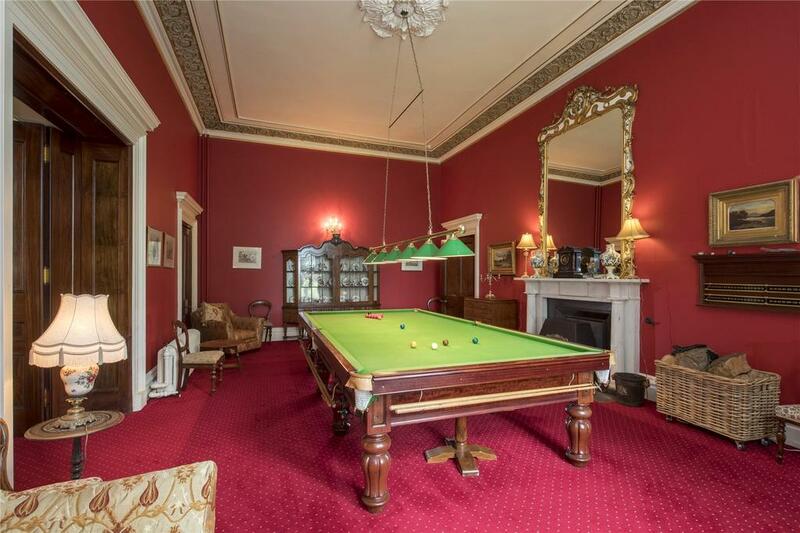 Cragcrook Castle is for sale via Ballantynes – see more details and images. 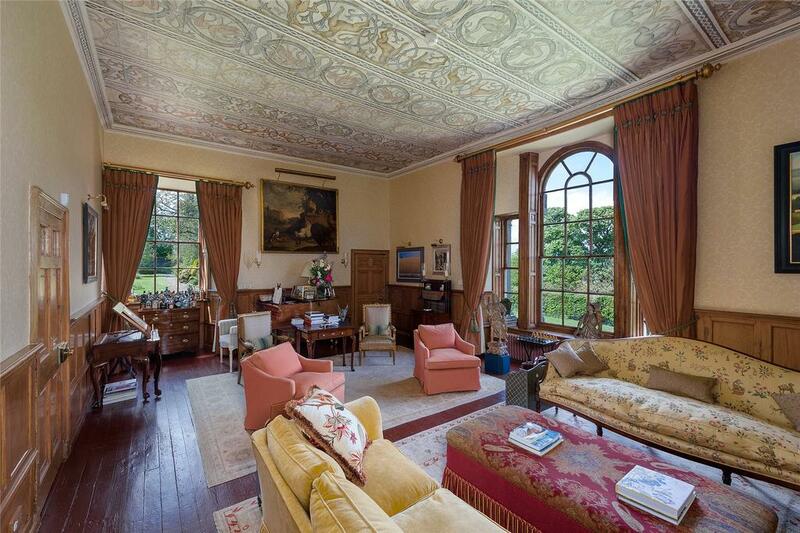 The 13-bedroom home at the heart of the Penninghame Estate is breathtakingly beautiful, for the building itself, the setting and interiors which have been done with astonishing charm. 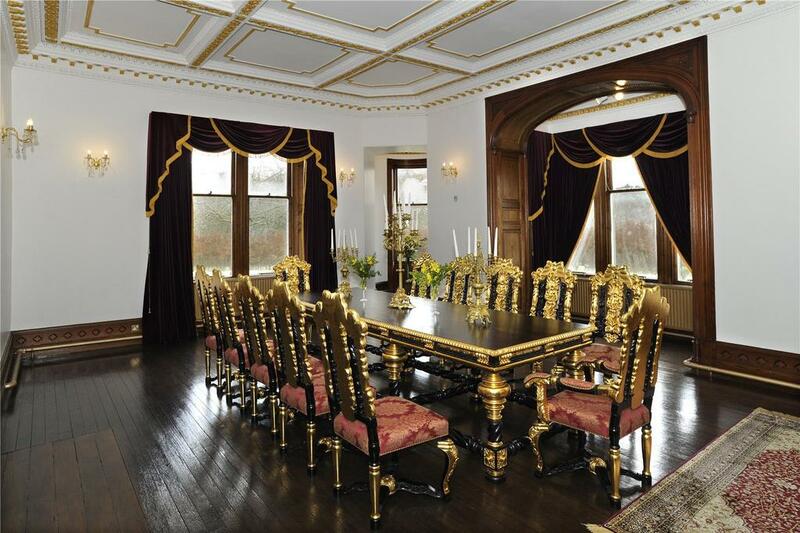 The mix of original features and 21st century gloss is brilliantly judged. The oldest parts of the mansion date back to 1700, with the bulk of the building having been constructed in 1869. 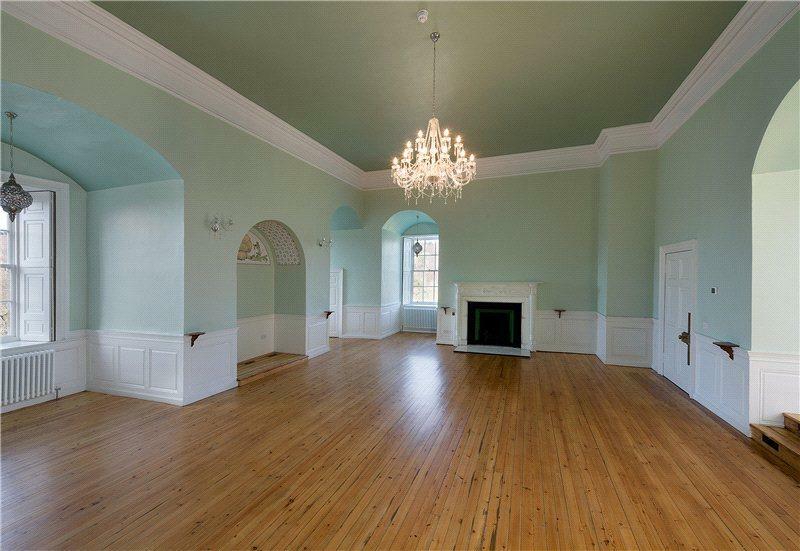 As well as the bedrooms there are five main reception rooms, 10 bathrooms, a library and a gym. The sprawling floorplan is so large that you almost need a compass to get your bearings while studying it. 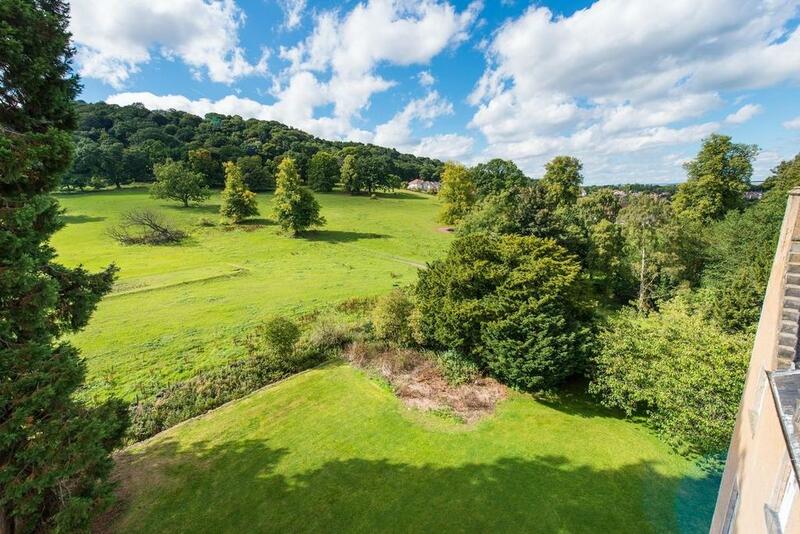 The wider estate extends to around 100 acres, consisting of parkland, woodland and a large walled garden. 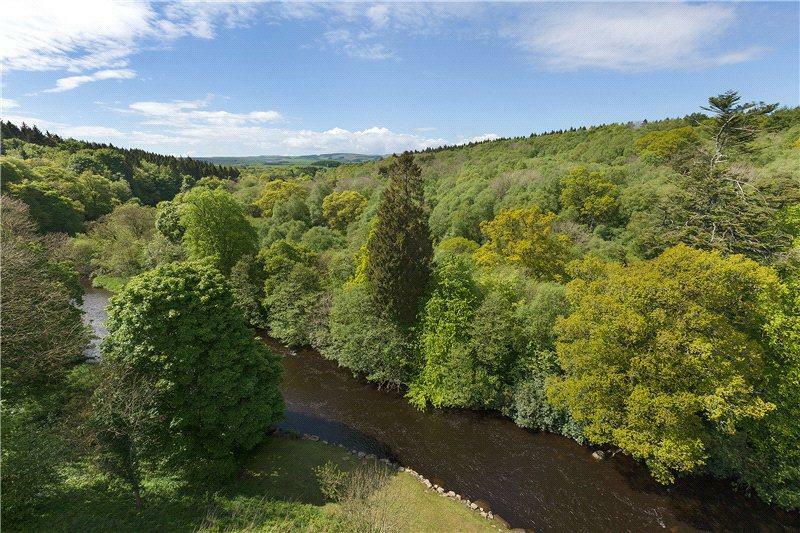 There is also 1500m of waterfront, with the River Cree running through the grounds and adding to the enchanting beauty of the natural surroundings and the comfort, peace and tranquillity. Pennighame is on the market with Knight Frank – see more pictures and details. 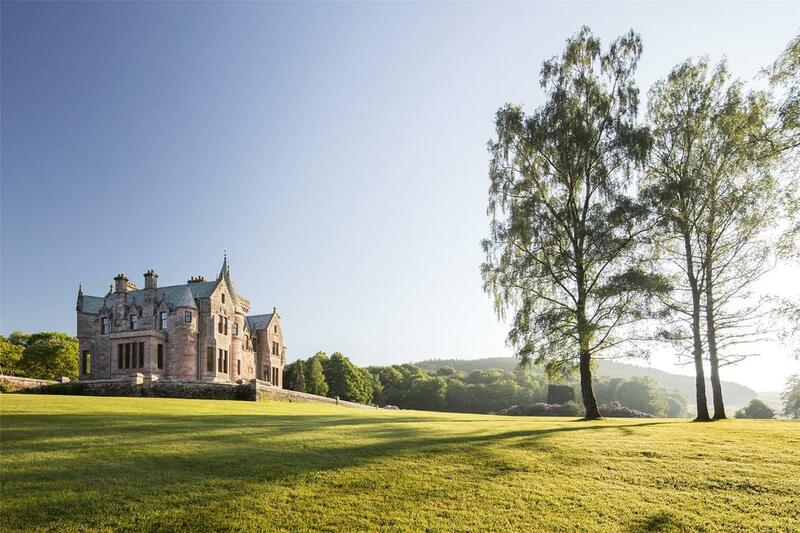 With 16 bedrooms, Glenborrodale Castle, on the Ardnamurchan Peninsula near Acharacle, is the quintessential castle in a breathtaking setting. 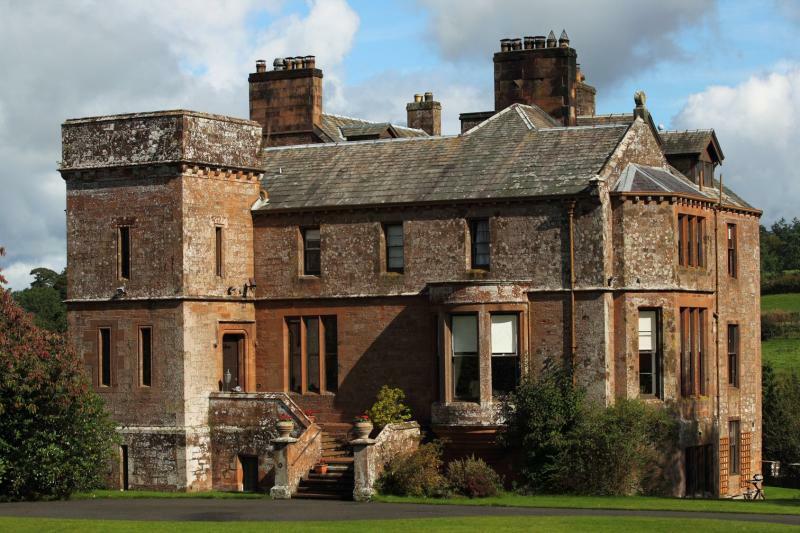 Built in 1902 in red Dumfriesshire sandstone, this Baronial mansion dominates a steep, south-facing hillside overlooking Loch Sunart, the Isles of Carna and Oronsay and the Morven Hills. It could be a sprawling home, but there are facilities set up to run the place as a hotel, wedding venue or anything else. There is staff accommodation, a professional kitchen and a gate lodge all in place to help. 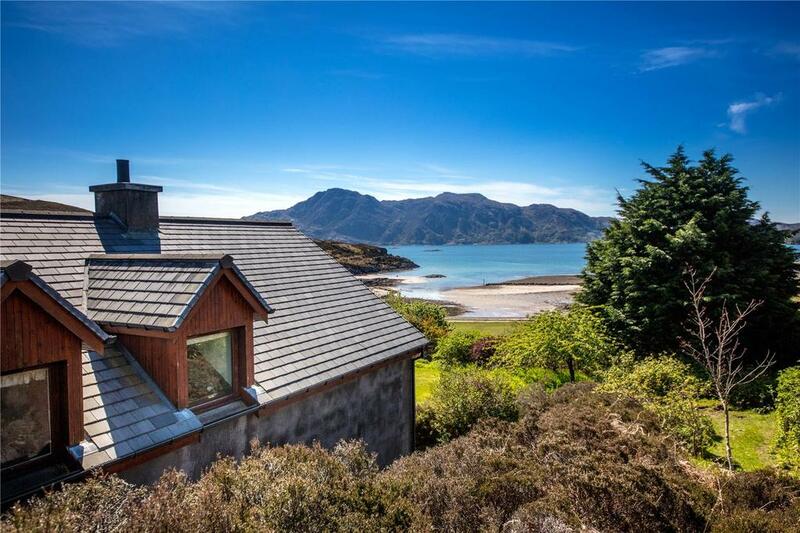 Beyond the house there are huge grounds of almost 133 acres, including a boathouse and jetty, a walled garden and two islands, the Isles of Risga and Eilean an Feidh. 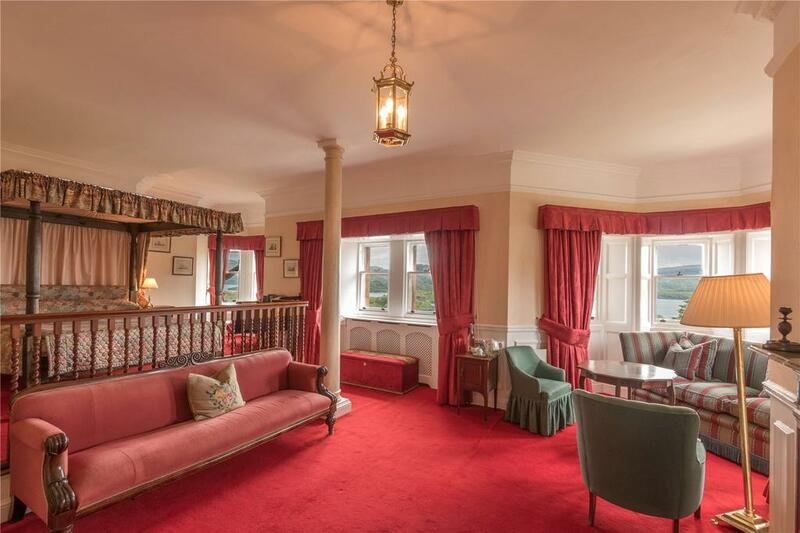 Glenborrodale is for sale via Bell Ingram – see more details and pictures. 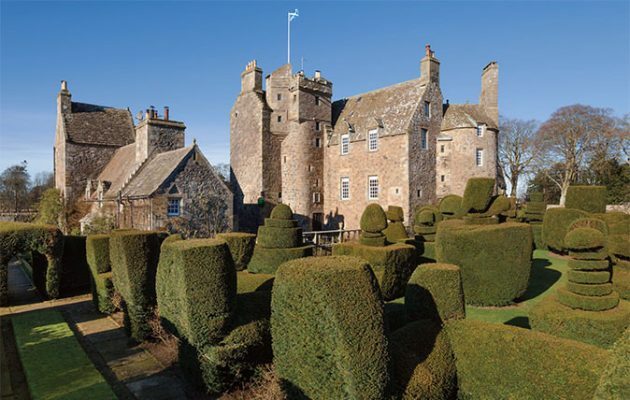 Dating to the 17th century, the strikingly pretty Cassillis Castle was the home of the Earls of Cassillis. Laid out over five floors, this is a labyrinthine building with huge rooms, magnificent ceilings, spiral staircases, sweeping hallways, breathtaking views and extraordinary grounds. 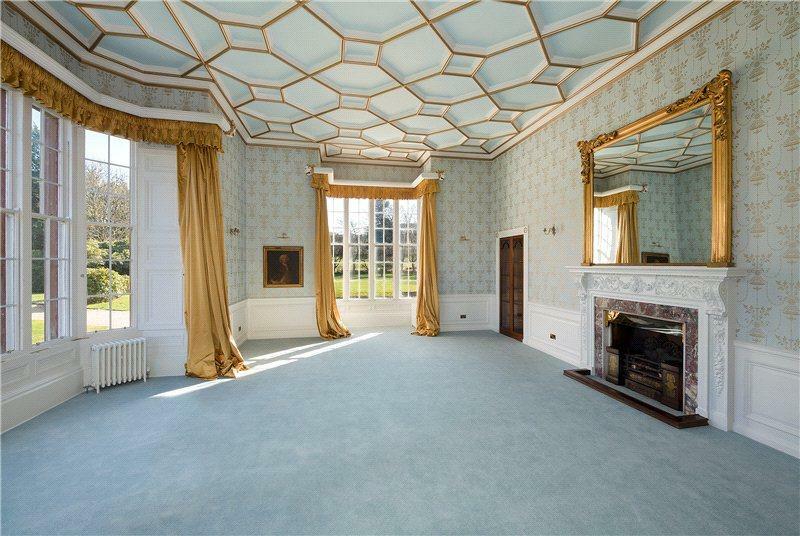 The Drawing Room is arguably the pick of the many rooms, built in the style of William Burn’s work, though believed to be the work of David Bryce. 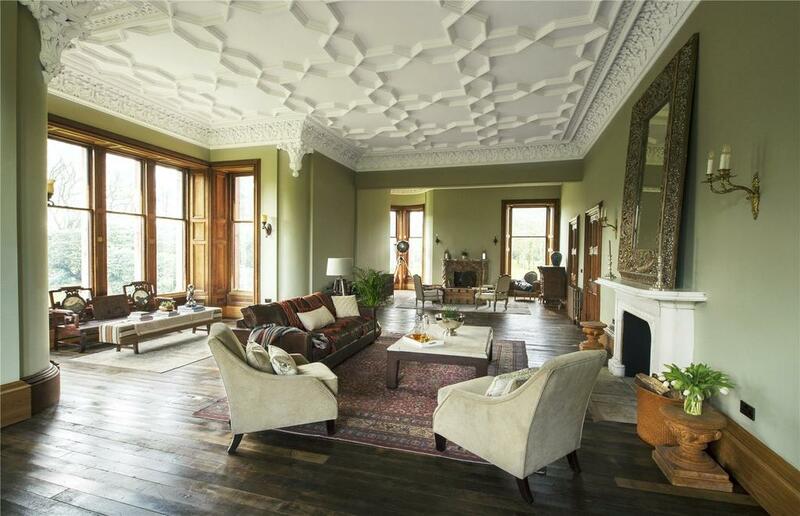 Vast windows flood the room with natural light, and whilst the fireplace forms a centrepiece for the room, it is undoubtedly trumped by the fine ceiling plasterwork. 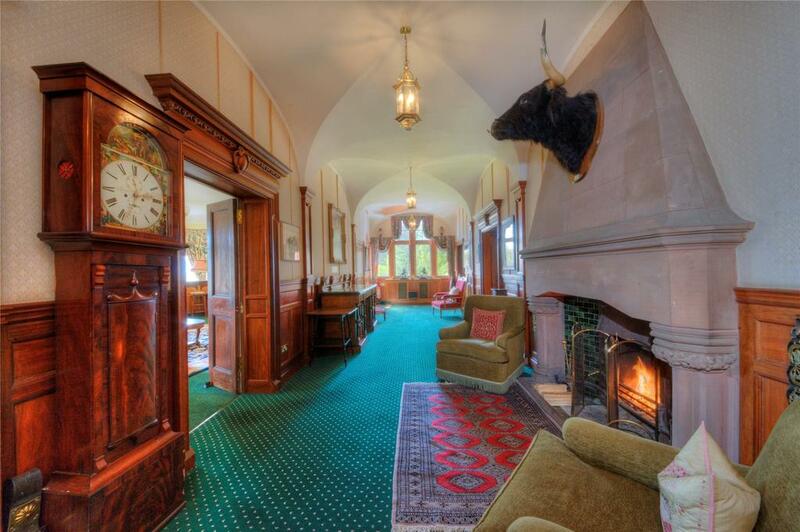 The Inner Hall and Dining Room also have grand fireplaces, with the hall’s glazed roof bathing the space in natural light. The spiral staircase is part of the original Keep of Cassillis, and is built clockwise – apparently the best way to make it easy to defend by a right-handed swordsman. 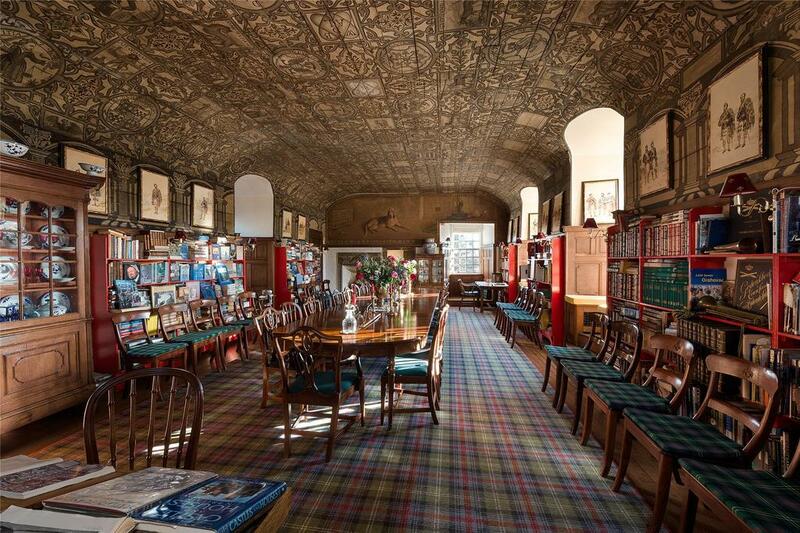 The Ballroom and adjacent Library were originally the bedroom and living quarters of the Earls of Cassillis. 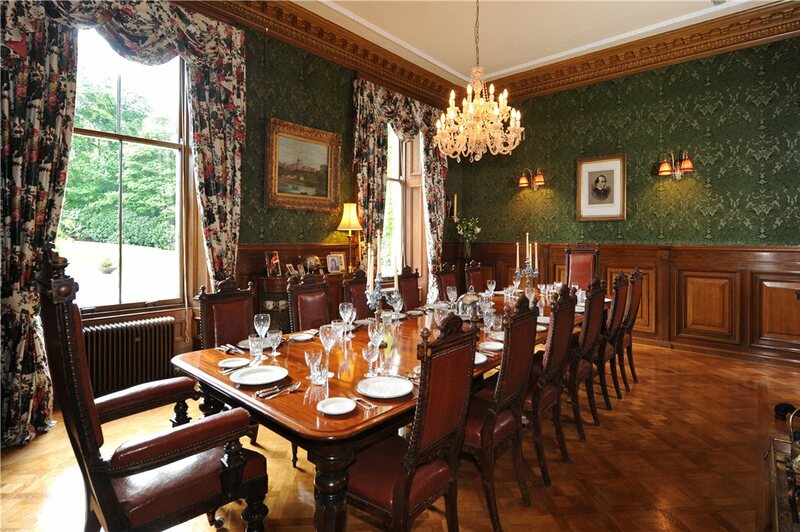 At almost 30′ in length and 20′ in width, the Ballroom is a superb room for entertaining, with windows overlooking the River Doon below. 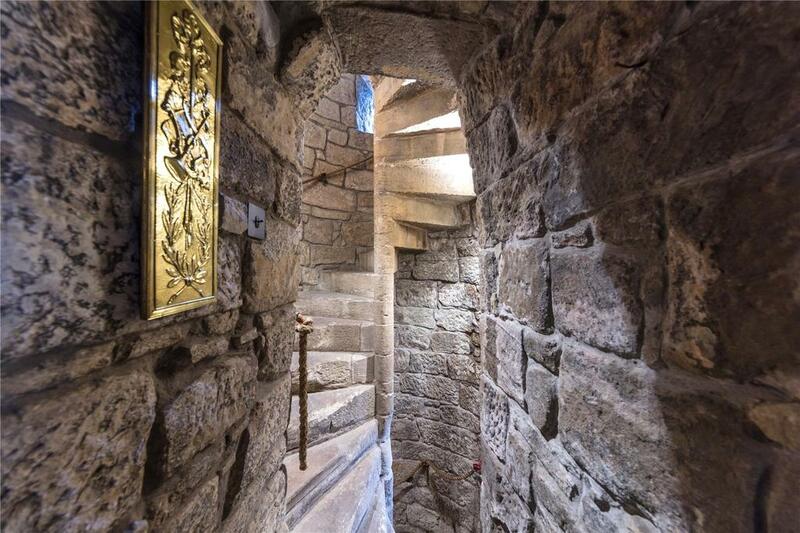 There is even a secret staircase just off the entrace to the keep, which lead up to the East Chintz Room. At the top of the steps a faded, hand painted notice on the wall advises staff that this staircase was for the use of the Earl and his family only: the sign reads ‘Step no further Master Porter!’. 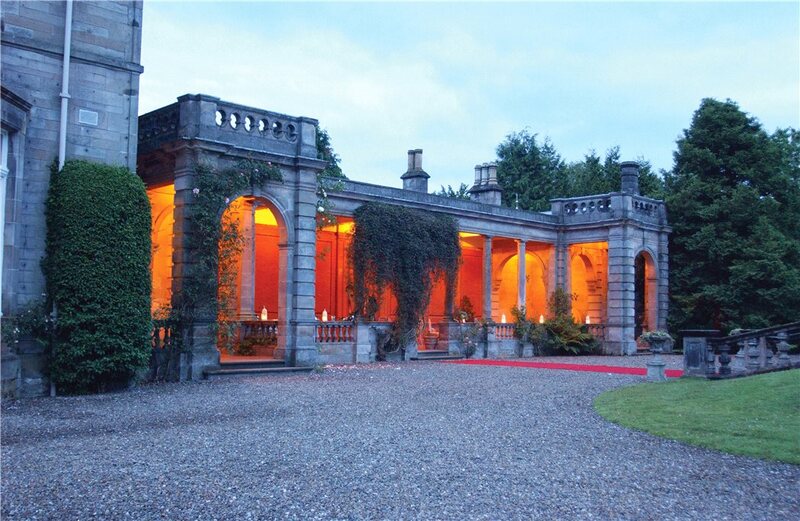 Grand as it is, the castle is just the starting point – there is also an attendant gate lodge, garden cottage and walled garden, coach house and stable block, all within 310 acres of rolling South Ayrshire countryside that encompass a long stretch of the River Doon. The fishing rights are included as part of the sale. 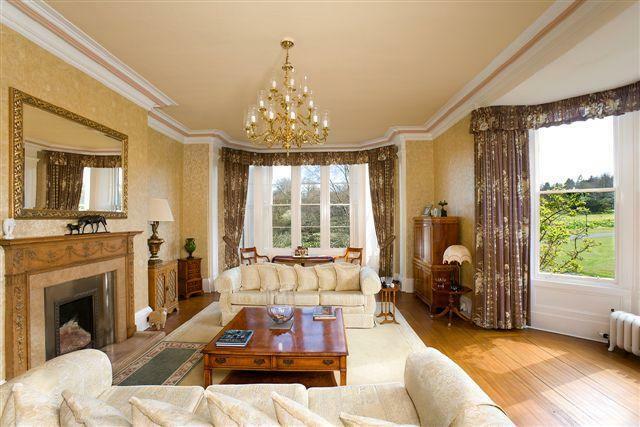 The property is also only a short distance from the coast, with the famous Turnberry golf course within easy reach. 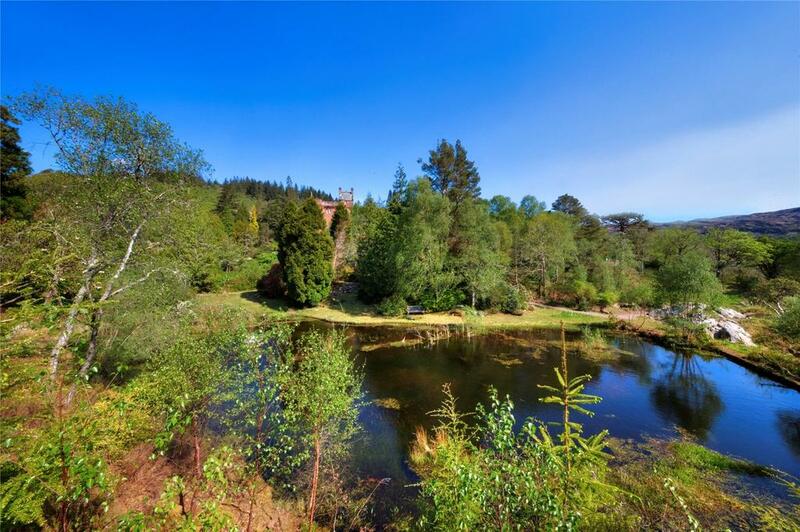 The Cassillis Estate is for sale via Savills – see more pictures and details. 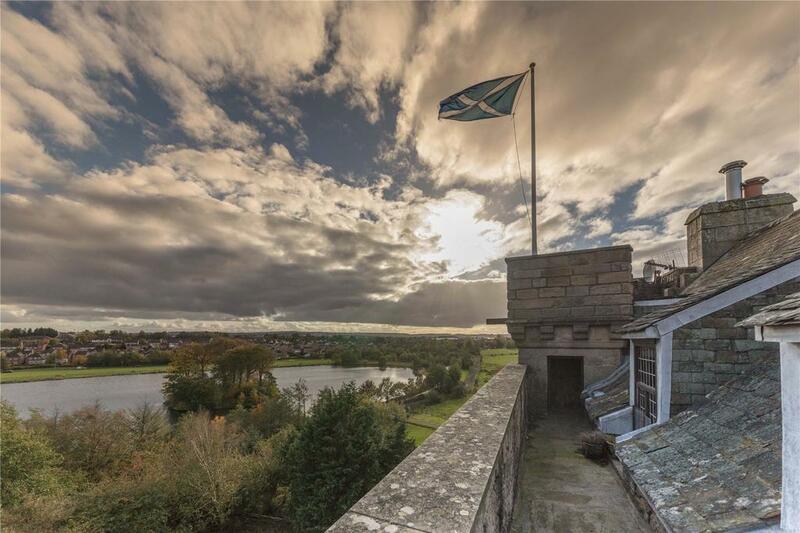 The lovely Earlshall Castle is a dream find for lovers of history or golf: it’s just a few miles from St Andrews, was built by the descendants of Robert the Bruce, and once hosted Mary Queen of Scots. 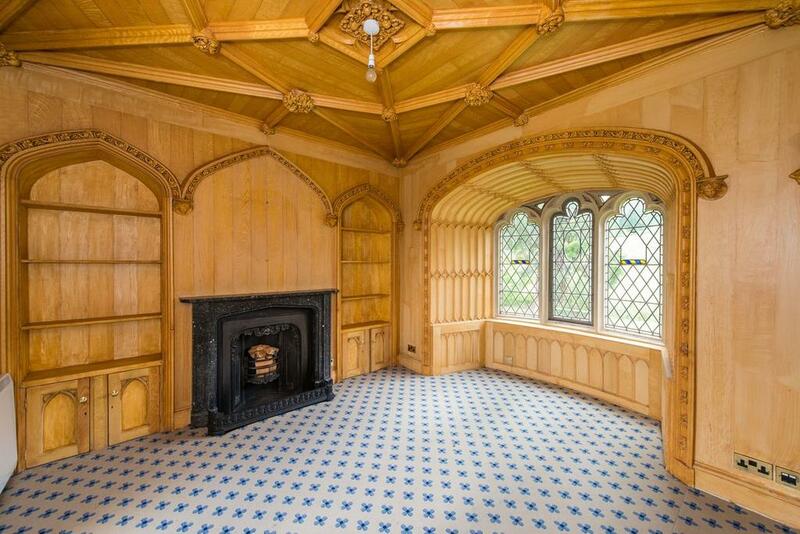 The castle, as it stands today, is a 10-bedroom building with a great hall, dining room, gun room, library, study and 10 bedrooms, among other things. Without doubt the most eye-catching of the interior spaces is the Long Gallery, whose painted ceiling is justly famous for its intricacy. It dates back to the 17th century, and is a phenomenal and unusual work. 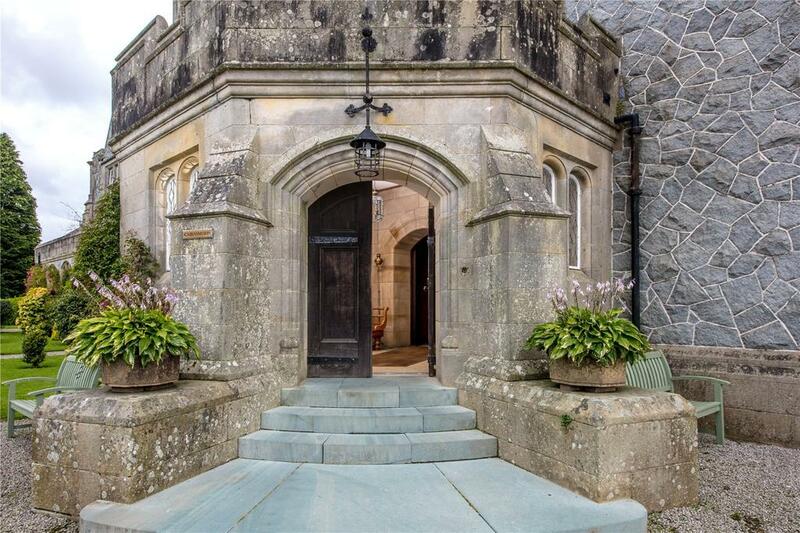 Earlshall Castle is on the market via Savills – read more about the wonderful history and see more pictures and details here. 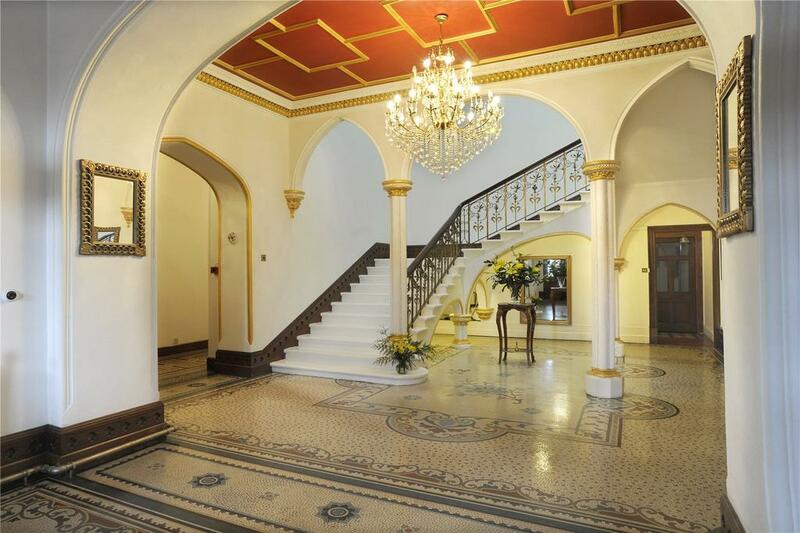 With 15 bedrooms and seven reception rooms, Solsgirth House in Dollar is a grand, splendid building that is easily accessible yet has a romantic private location. Internally the accommodation is both impressively proportioned and manageably laid out. 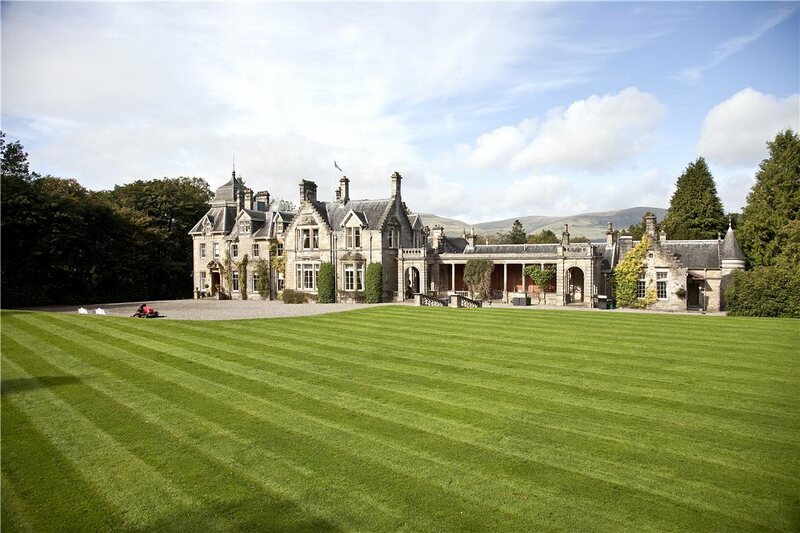 The main reception rooms on the ground floor which include drawing room, dining room, library and ballroom all have large windows with lovely views across the formal gardens or the woodland policies with the Ochil Hills beyond. Solsgirth is on the market with Knight Frank. See more details about this property. 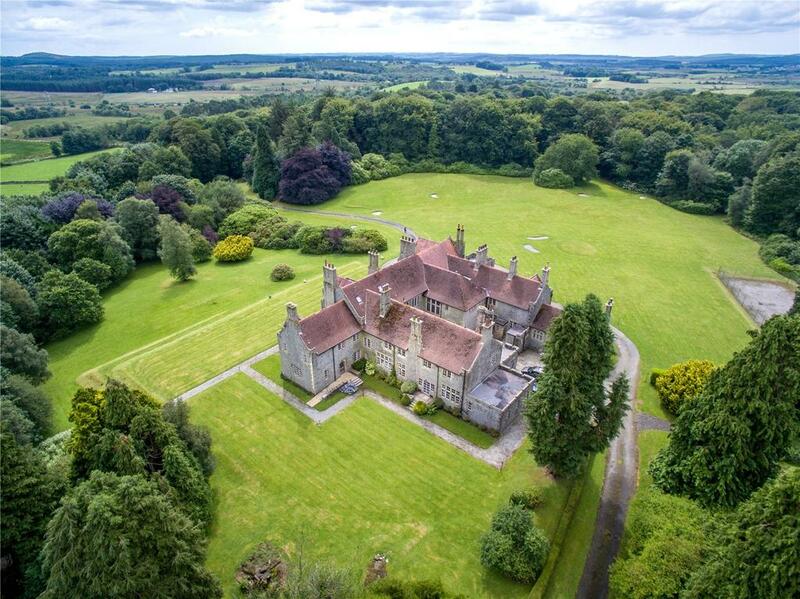 And the grandeur of the architecture is the equal of the grandeur of the scenery: this magnificent building is a fine example of English Tudor/ vernacular style and is set within mature landscaped gardens and grounds which extend to approximately 25 acres. From the entrance gate and the lodge, a long driveway passes through woodland, including beech, oak and rhododendrons and the open lawns include a four hole pitch and putt course, croquet lawn and tennis court – the sporting theme continues inside, incidentally, with a fully-equipped games room. The property could be used as one single home, though needs a little work to do so: It was extensively refurbished in 1988 and converted into four self contained properties each with an abundance of charm and character to provide spacious and luxurious accommodation of between three and five bedrooms, the majority with en suite facilities. 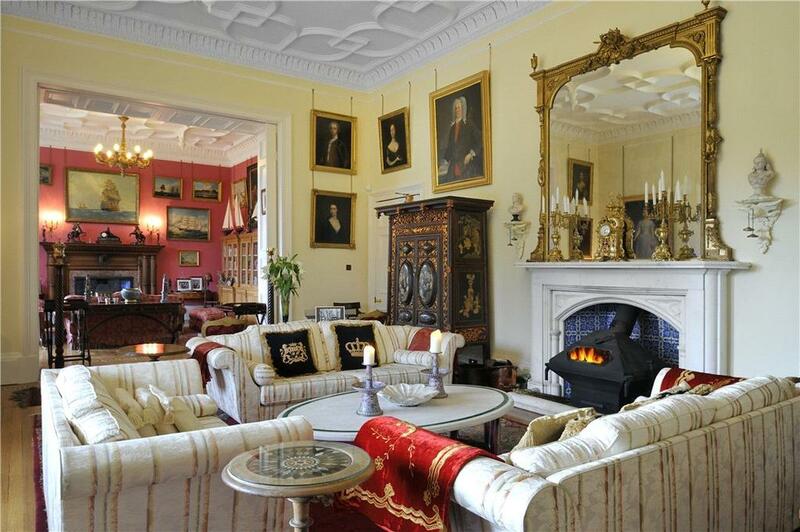 Shennanton House is on the market with Savills. See more details about this property. 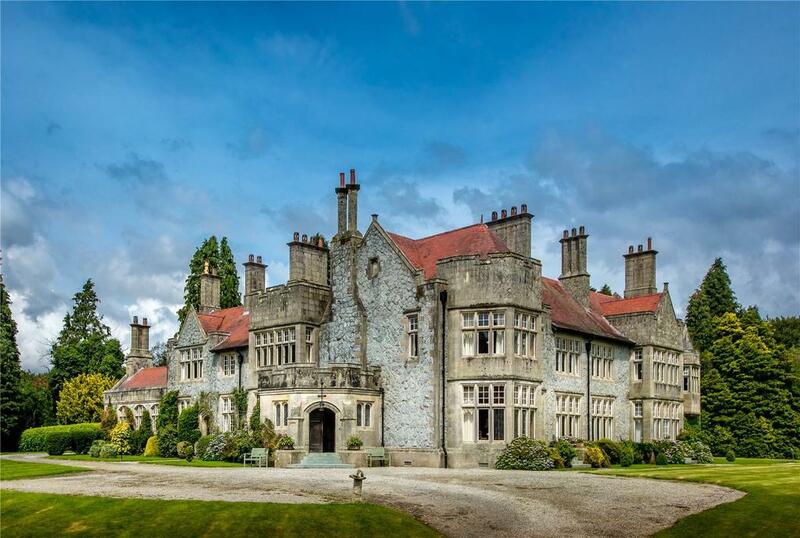 These beautiful listed country homes stand in the heart of some of England's most beautiful countryside.